Reveal seamless-looking skin using the Cover FX Mattifying Primer with Anti-Acne Treatment, a multi-benefit formula ideal for oily skin. 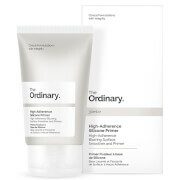 The lightweight, oil-free gel texture melts effortlessly into skin, using its powerful base of 1% Salicylic Acid to help to clear away any blemishes and prevent future breakouts. Fruit AHAs gently exfoliate to remove dead skin cells and refine the surface, whilst Vitamins C and E create an antioxidant barrier against the damage caused by free radicals. 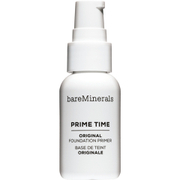 The primer sweeps away excess oil to improve the appearance of pores and create the perfect makeup base that locks foundation in place for longer. Expect a clear, smooth and healthy-looking visage. Apply a pea-sized amount with fingertips. Use alone as a blemish treatment or under foundation. Can also be used as a blemish spot treatment day or night. Active Ingredient/Ingrédient Actif: Salicylic Acid 1%. Inactive Ingredients/Ingrédients Inactifs: Cyclopentasiloxane, Salix Nigra (Willow) Bark Extract, Water (Aqua, Eau), Dimethicone Crosspolymer, Butylene Glycol, Dimethicone/Vinyl Dimethicone Crosspolymer, Bis-PEG/PPG-14/14 Dimethicone, Vaccinium Myrtillus Fruit Extract, Glycerin, Dimethicone, Caprylic/Capric Triglyceride, Cetyl PEG/PPG-10/1 Dimethicone, Squalane, Phenyl Methicone, Saccharum Officinarum (Sugar Cane) Extract (Saccharum Officinarum, Extrait de canne a sucre), Bisabolol, Caprylyl Glycol, Tocopherol, Dimethiconol, Phenoxyethanol, PEG-60 Almond Glycerides, Acer Saccharum (Sugar Maple) Extract, Citrus Aurantium Dulcis (Orange) Fruit Extract, Enantia Chlorantha Bark Extract, Citrus Limon (Lemon) Fruit Extract, Phytosphingosine, Tetrahexyldecyl Ascorbate, Ethyl Linoleate, Ethyl Linolenate, Ethyl Oleate, Carbomer, Silica, Polysorbate 20, Oleanolic Acid, Nordihydroguaiaretic Acid, Palmitoyl Tripeptide-1, Palmitoyl Tetrapeptide-7.